Cancer is the first sign in the Water Element grouping. Cancerian people have deep emotions and fathomless longings. Rather than take a risk and put all their energy into something that might fail, they prefer to wait and watch. When the time is ripe they dive in with great speed and efficiency. They are serious, caring, sensitive people with complex psyches.This is a sign that dislikes taking unneccessary risks. When the going gets tough, they are perfectly content to dig in and surround themselves with domestic comfort and security. A wounded Cancerian is not an easy person to deal with. Given the opportunity at the right time, people of this sign cope remarkably well with fame, fortune, and responsibility. Money and a sense of security play an important part in the Cancerian scheme of life.Though careful with money they are kind, generous and thoughtful. Cancer natives are found to be one of the most caring and emotional signs among the zodiacs. They are very much committed in a relationship and yearn for strong, stable and long-lasting compatible partners in life. Trust, loyalty and emotional security are their must-haves in a relationship. For them relationships are not casual but have a deeper meaning and a sense of belonging to each other. With a nurturing motherly character, they would move mountains to get their partner protected in life. The negative side being , Cancer guys are highly moody and changeable. Also physical contact means a lot to them. Only those signs who can withstand or tolerate the sometimes hurtful talks of the Cancer native can survive in a compatible relationship. A vital point to be noted in Cancer compatibility is that it does not mean compatibility with the partner alone. It also means your compatibility with his or her family members and how you go about in having and raising your children together. Family comes foremost in any Cancer guys' life. A negative aspect of Cancer natives is that they are too clingy which might make the partner feel smothered. Only an individual who feels independent despite the clinginess of the Cancer can survive the relationship. Also the Cancer natives are known to hold onto old grudges which might not go well for a compatible relationship. Cancer natives are compatible enough with fellow water signs as their needs and deeds are more or less the same. 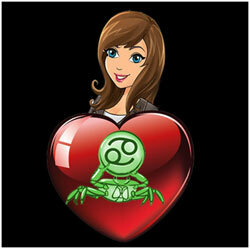 The Earth signs also get along well with you as they offer stability and security. The fire signs though can get along with you are too hot for you to handle at times. The air signs are your worst enemies in a relationship with their need for excitement, risk and aloofness which might not go well for you. 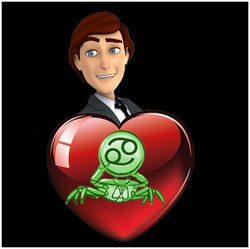 Cancers have the habit of retreating into their shells when things go wrong in the love and romance side. They fret, worry and hate to come back to terms that most Cancer natives are found to settle down in a comfortable happy relationship only in their late 20's if not 30's. However if all is well then you would be delightful and happy. Most of the zodiac signs would love to have a caring, sharing and nurturing crab as their partner for life that compatibility with a Cancer person is not a Herculean task to behold. There would be better compatibility between an Ophiuchus native and a Cancer person. Both of them are highly emotional and clingy and hence satisfy each others needs of emotions and feelings. They are highly supportive of one other and are resting on the other both mentally and physically. 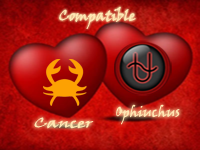 They are equally loving and caring and hence life together would be a smooth ride between an Ophiuchus and a Cancer. When will I have a baby? Is my existing partner compatible?